The ultimate goal of our life is the happiness. Everyone likes to be happy and life of comfort, but the degree and measurements of happiness depend on the level of understanding and purpose of life. We don't have to dig the mountain neither should be in the palace in order to have the true happiness in life. We can dwell the purity of happiness in our own garden of the mind and thought to water every day with the positive belief and affirmative action. Nothing is possible in this world if we try and move one step every day. The happiness achieved with the physical substance doesn't last long and it is not that worthy stuff as every physical substance has a temporary life. 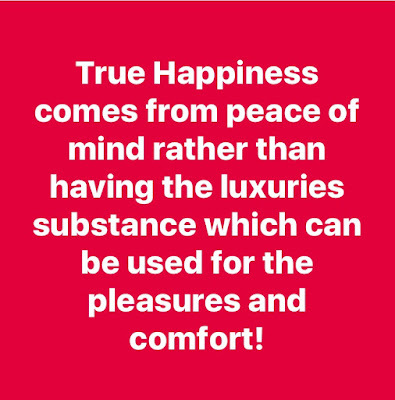 The beautiful, ornaments and luxurious palace may provide the happiness for a while, but it fades away if we don't have inner peace of mind. The car will be old one day, the decorations may spoil after a few days as the color is not permanent. That's why the nothing is more precious and vibrant than peace of mind and nothing is there to bring that it is only you who can dwell within you. The pure happiness should be natural which remains permanently. Happiness makes our life marvelous and shines even the life may throw in the curveballs. It is persistently correlated with our mind and thought. The true happiness grows inside of mind not with physical substance. 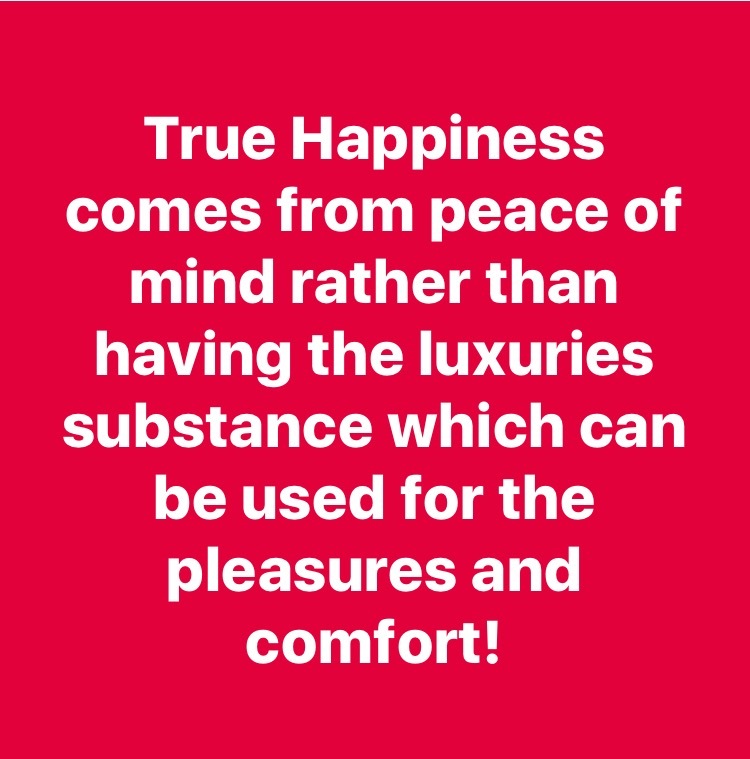 People having a luxurious life can't be happy if they don't have peace of mind. Regardless of the physical possession or any artificial substitute we should find the true happiness with converting our beliefs with a great deed and willingness to make this world more prettier tomorrow. Even our tiny effort could make a big difference and we may find the true happiness within the passion of our life. It should not be only the big goal or doing something big things, we can find the satisfaction with simple changes and a tiny achievement if we divert our mind toward that. Let's dwell the positive belief and grow the true happiness within us which remains within us lasting until we live on this earth.